Looks like we've got quite a few of the same books. What's the Fred Seaman one like? I always imagined it would be a bit like the Goldman book - full of juicy details but with a slightly distasteful agenda. I didn't know The Beatles Live! had extra information. I might have to get hold of that. It's a typical Lewisohn book Joe - VERY well researched and extensive. Oh dear, my credit card's just taken another hit. It's a real shame it's out of print - the second hand prices range from £30-80+. I bought a paperback copy with the flexi disc from Amazon for £30 - it felt like I need this book in my life. Should arrive next week sometime. I have other books in the library, but I haven't read them carefully yet, so I won't make comment (included: Spitz's book, Harrison's book, Sheff's book, Carlin's book). "The Last Days of John Lennon " by Fredrick Seaman. A great read for anyone interested in John's life/activity the year and a half before his death. Lot's of personal day to day recollection by John's last assistant, Fred Seaman. 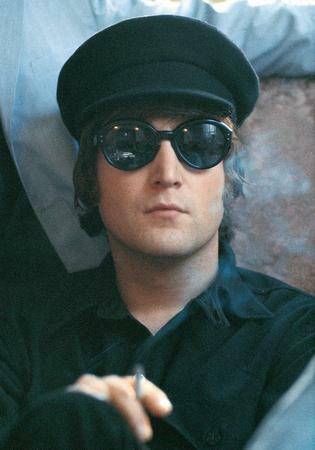 The author was well schooled, includes a bunch of rare snapshots, and really gives his honest opinion of what it was like to live with/for John and have to put up with Yoko on a day to day. His reputation was somewhat ruined after John died. (He got caught trying to smuggle John's journals "supposedly" to give to Julian.) I personally really enjoyed this book. A great read for any Beatle/Lennon fan. Is The Beatles by Hunter Davies worth buying? skye said:Is The Beatles by Hunter Davies worth buying? Yep! But bear in mind when this was written (published in 1968) so there are things NOT mentioned (Epstein's homosexuality, Yoko) but lots of interesting stuff about their childhood and families. One thing that annoys me about this is that the book's out of print, Mark Lewisohn's not making anything from the sale, and the only person profiting is the second-hand dealer. Although I generally like to pay for things I did do a Rapidshare search to see if I could download it first, but couldn't find it ('beatles live lewisohn' gave me a load of bootleg results). It's a shame the publishers don't keep books like this in print. Roll on Google digitising them. http://www.tmrzoo.com/?p=7601 suggest it would have been better with some kind of commentary, rather than just being a list. Still, you've got to admire someone's diligence in compiling something like that. I knew I saw it somewhere! Amazon has picked up on my Beatles habit and suggested it. I will have to start searching the forum - too many threads to skim now. Commentary would be nice, but just three lines on each of the 1400? It would take forever to read all of those books, let alone sum them up. The book I'm reading right now says that playing the piano was something that his aunt wanted him to learn. So I guess she did. I'd imagine (no pun intended) he picked up a lot while writing closely with Paul, who knew a bit before. Here are some Anthology quotes that suggest they passed around some knowledge between them. PAUL: "Dad was a pretty good self-taught pianist, but because he hadn't had training himself, he always refused to teach me. I would say, 'Teach us a bit,' and he would reply, 'If you want to learn, you've got to learn properly.' It was the old ethic that to learn, you should get a teacher. It would have been OK for him to teach me, but I respect the reason why he wouldn't. In the end, I learnt to play by ear, just like him, making it all up. I did then take lessons, but I always had a problem; mainly that I didn't know my tutor, and I wasn't very good at going into an old lady's house - it smelt of old people - so I was uncomfortable. I was just a kid. I quite liked what she was showing me, but then she started setting homework: 'By next week I want you to have learnt this.' I thought it was bad enough coming for lessons, but homework! That was sheer torture. I stuck it for four or five weeks, and then the homework really got difficult so I gave up. To this day I have never learnt to write or read music; I have a vague suspicion now that it would change how I'd do things. "To this day, I have a deep love for the piano, maybe from my dad: it must be in the genes. He played the piano from when I was born through until I was well into The Beatles. And you can start to see where I'm coming from when you hear an old number like 'Stumbling', which is a very clever tune. Dad told me what was clever about it; he was my musical education. There was none in school; we never got music lessons. He would always point out things like the chord changes at the beginning of 'Stairway To Paradise'. Later, he'd tell us we should do that one with The Beatles. We'd say, 'Dad, Dad... "Build a stairway to paradise"? Please!'" PAUL: "Stuck out in Hamburg with no instrument, I was forced onto piano as they had one on stage at the Kaiserkeller. I was used to facing the audience so this was an excuse to turn my back on the audience and just get into the music, which was good. I started to get into numbers like 'Don't Let The Sun Catch You Crying', a Ray Charles B side. That was a good little period for me, and I think I developed my piano-playing quite a bit. I ended up being slightly better than the other guys on piano from that period by pure default: having no guitar." I also read a George Martin quote where he said he learned the guitar in the 1960s to try and keep up with The Beatles, but that they were always better. I can't remember the precise quote but I think he said they were better on the piano (Martin's instrument) than he was on guitar. No definitive info about how John learnt though. 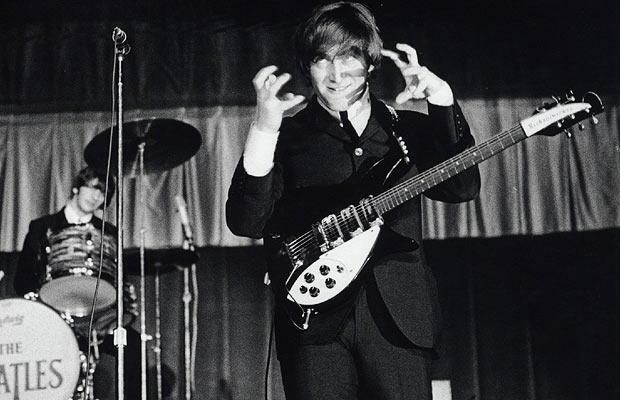 The Beatles Live! by Mark Lewisohn arrived this morning. I've only had a quick look but it seems like the sort of quality offering you'd expect from Lewisohn (ie thoroughly dependable). One thing I did notice was that several times Lewisohn says something like "Now a long-circulated rumour can be put to rest: this was the first time The Beatles played x venue, rather than on y date as often reported." As the book was written in 1986, it's quite likely there were incorrect 'facts' which had been widely-repeated before then. However, after Lewisohn's definitive day-by-day guides were published (Live!, Sessions, Chronicles) nobody really bothered with the older, incorrect sources, so the rumours and fallacies he was correcting aren't all that well known nowadays. It's just a funny thing that struck me. As for the content, there doesn't seem to be masses that weren't included in Chronicles. I was hoping for more detailed info such as setlists etc for each concert, though they're probably not known. I'm a little more than half-way through Spitz's bio (it's about 1966, they've decided to quit touring, Revolver has just been released - we're not yet to Sgt. Pepper ). So far, I'm really, really enjoying it. Looks like he really did his research, and I don't detect any hints of slanting the story toward one particular Beatle viewpoint or another (as was the case in Norman's Shout! which seemed to be a bit more pro-John/anti-Paul). I keep seeing a lot of mention of Lewisohn's books in this thread - he must be something worth checking out, eh? Mark Lewisohn is the granddaddy of Beatles historians. He's the man, absolutely. My favourite is The Complete Beatles Recording Sessions, which is a day-by-day guide to what went on in the studio. The follow-up was The Complete Beatles Chronicle, which added live dates, radio sessions, interview info etc. Both are great. At the moment he's writing a three-volume Beatles biography, which should be the last word on the subject. Volume one is due sometime in 2010. It's supposed to be less of a reference book than his others, so it'll be interesting to see how he handles it. Rather well, I'd imagine. One of his first breaks was as a researcher on Philip Norman's Shout!, so it should comfortably eclipse anything in there. I've read some mixed reports about the Bob Spitz book - apparently there are some glaring errors in it, though I'm not sure what. Glad you like it though. STILL NEED IN HIS OWN WRITE!!!!!!!!! Wow, Lewis, I don't have any of those. Are there one or two that you'd recommend as favorites?